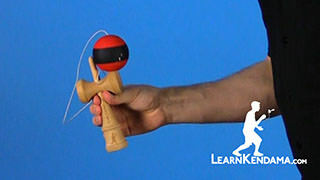 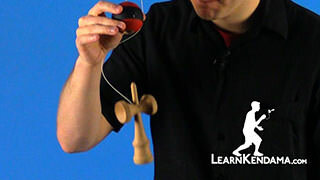 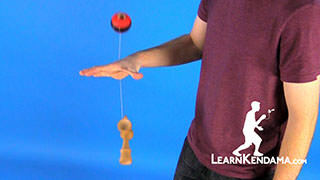 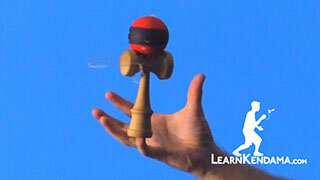 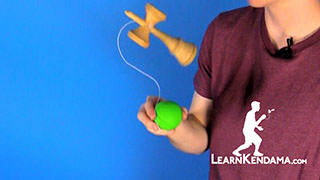 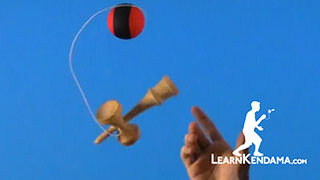 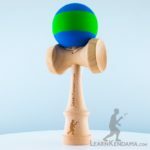 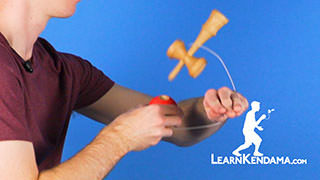 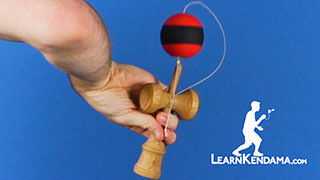 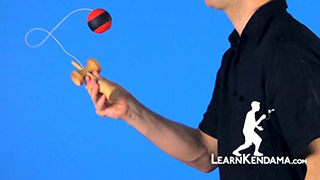 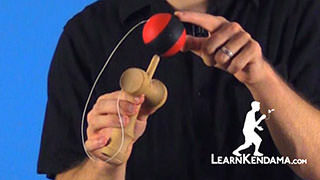 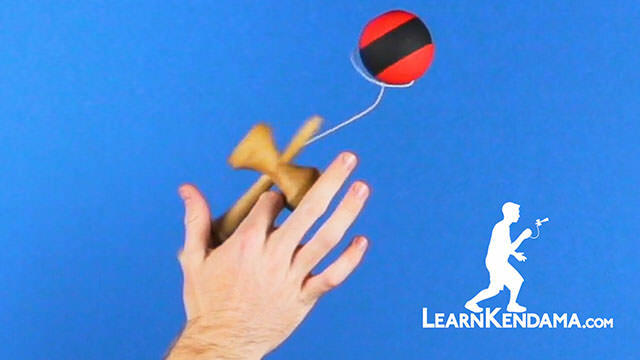 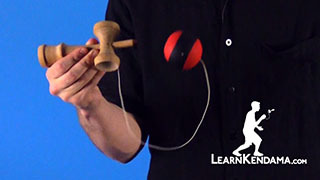 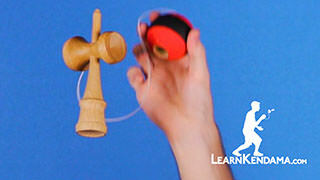 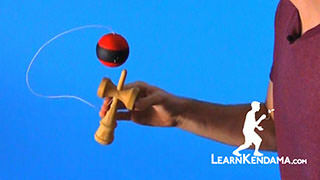 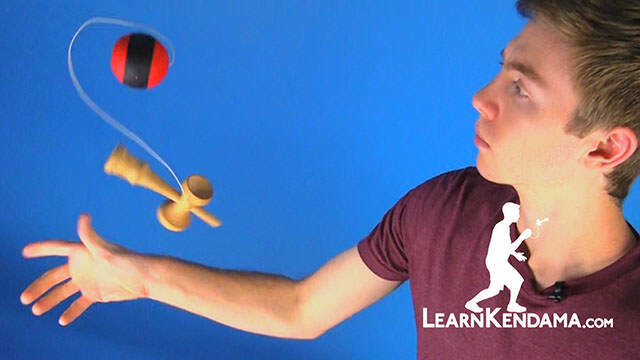 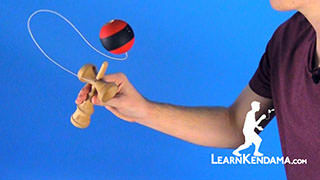 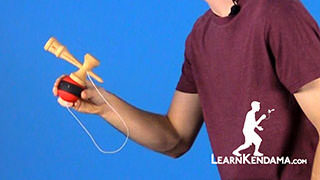 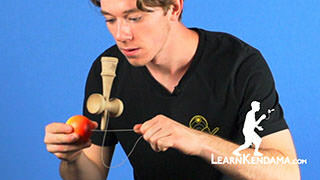 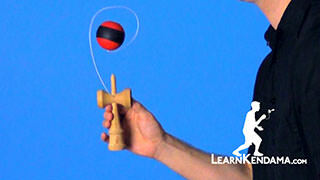 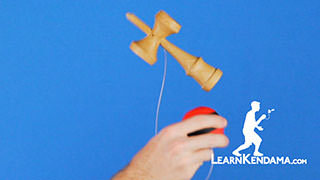 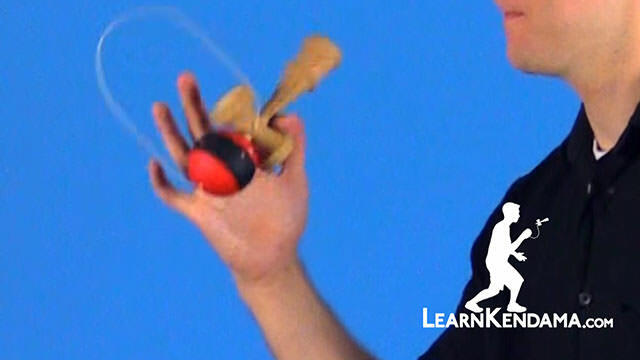 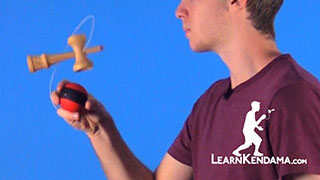 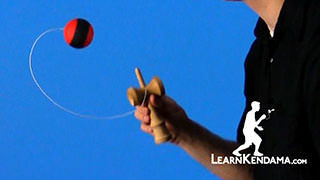 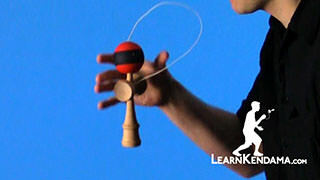 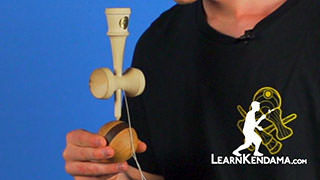 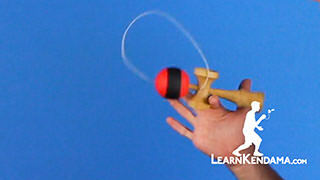 Learn how to do the Kendama trick Gunslinger Whirlwind. 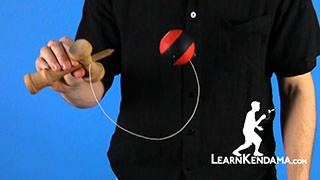 Now, in order to do this trick, you want to make sure you know the tricks Gunslinger and Whirlwind. 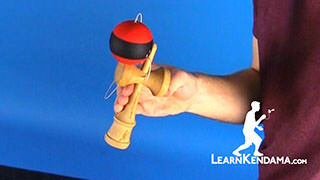 So to start this off, you are going to be holding your ken in a modified ken grip. 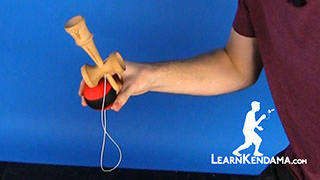 You want to kind of combine the grip for gunslinger and ken grip. 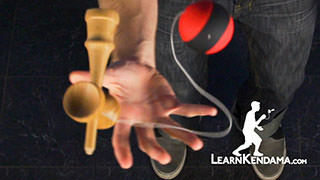 So you actually are going to have the index finger of your dominant hand underneath the small cup. 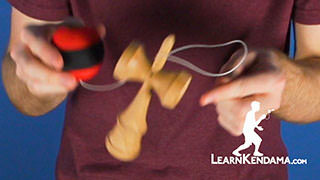 That way it allows you to rotate the ken back with the spike facing up. 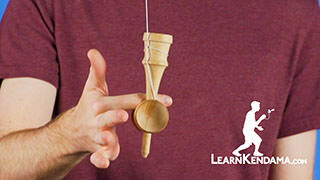 With this trick, just like in whirlwind, you want to make sure that you do the earthturn before you rotate the ken. 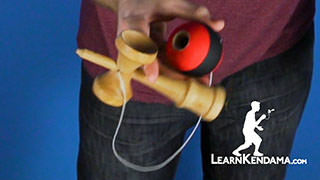 With this one specifically you want to make sure you get a really nice slow earthturn. 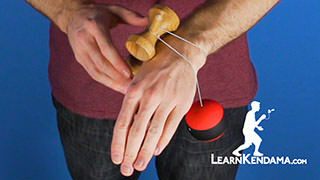 That way you have plenty of time to revolve the ken around your index finger. 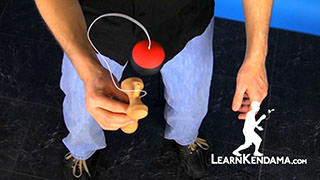 When you are revolving it, you will notice if you just keep your hands still, when you go to revolve it, it falls off. 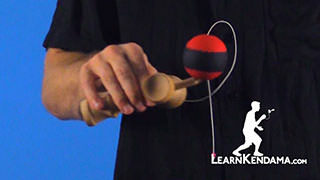 So you want to make sure that when you are bending your knees and going upwards, bring your hands slightly upward as well, which will keep the ken a lot more controlled in your hand. 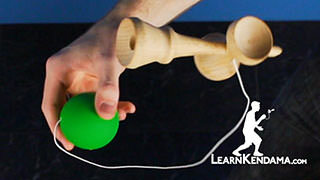 You can also use your thumb to press on the big cup to give you a little bit more control over the earthturn. 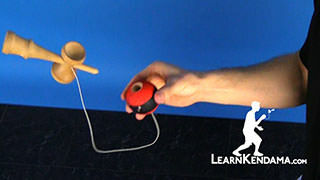 You can even use your entire hand to kind of grip the base of the ken and give you that angle really sharp underneath the small cup to keep it all together when you rotate. 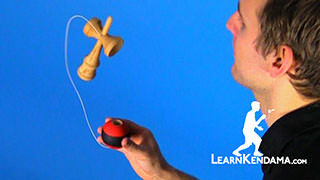 So, you put those steps together, do a nice slow earthturn, spin the ken around your hand, and land back on spike. 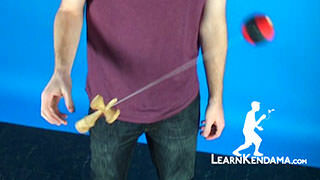 And that is Gunslinger to Whirlwind.